Are you looking for interesting private tour in Georgia? Want to taste the best wines, learn about the oldest wine making traditions and modern technologies, see medieval fortresses and churches, beautiful nature, take a drive on one of the most extreme roads – legendary Georgian military road to the great Caucasus mountains with the experienced driver and pass the cross pass, enjoy a view on the permanently snowy peak Kazbegi and waterfalls coming from the glacier, visit the antic carved- in- rock city and UNESCO world heritage sites, churches built at the dawn of Christianity, call at the famous for its mineral water resorts and taste it directly from the springs, drive via ancient silk road, see the ruins of the bronze age fortress and visit the lakes above 2000 meters from the sea level? Wander if all this is possible in one single tour? If the tour takes place in Georgia, then the answer is definitely YES! 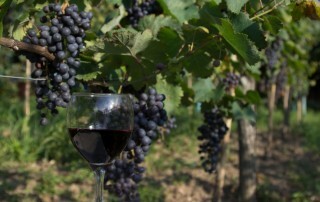 Classical tour in Georgia includes Tbilisi city tour, Kakheti cultural and wine tours, Kazbegi, Kutaisi and Mesklheti tours. It is available for everyone and almost any time of year! 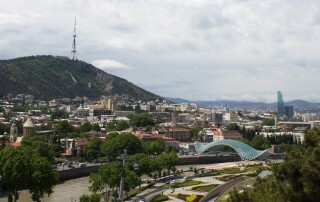 Day 1: Arrival to Tbilisi. Meeting at airport. Transfer to hotel, rest, Tbilisi city tour. Day 2: Breakfast. 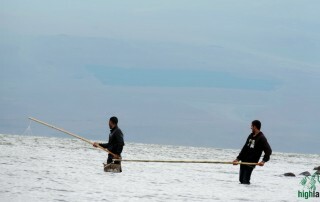 Travel to Kakheti region. 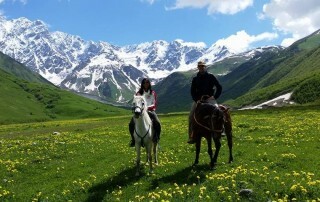 Town of love Signagi, from where you can enjoy picturesque view of Alazani valley and Caucasus mountains. Wine tasting in wine cellar “pheasant’s tears”. Walk around the town, visit museum. Visit Nekresi monastery and Gremi complex. Dinner and sleep in Telavi. Day 3: After breakfast visit Tsinandali museum. 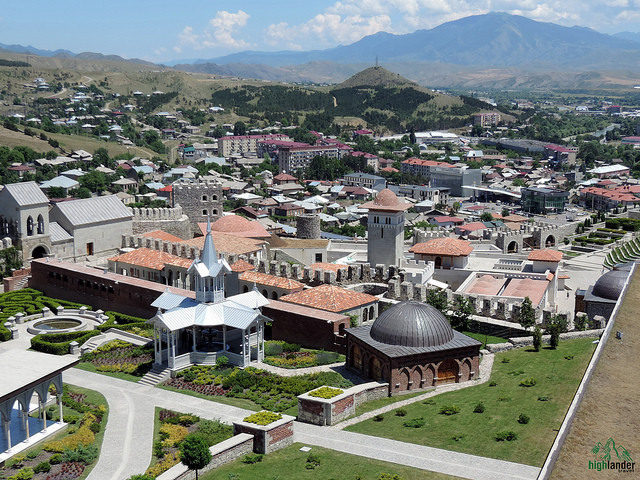 Visit Alaverdi cathedral and Ikalto monastery. Return to Tbilisi via beautiful Gombori road and on the way visit Ujarma fortress. Check in hotel in Tbilisi. Day 4: Breakfast. Drive to Kazbegi region. Visit Ananuri complex, cross great Caucasus range via Cross pass (2395 meters above the sea level), arrive to town Stephantsminda. Drive to Gergeti monastery, on the top of the mountain, and enjoy view of peak Kazbegi (5021 m). Drive to Dariali gorge and hike to Gveleti waterfall. Return to Tbilisi. Day 5: Breakfast. Travel to west Georgia. On the way visit Mtskheta – ancient capital of Georgia. Jvari monastery built in the end of VI century and Svetitskhoveli cathedral – XI century. Both they belong to UNESCO world heritage sites. Visit ancient, carved in the rock town Uplistsikhe near Gori. Continue driving to the west Georgia via Rikoti pass. Lunch on the pass. Visit Ubisa monastery. Dinner and sleep in hotel Kutaisi. Day 6: Breakfast. Visit Bagrati cathedral, architectural monument also included belongs to UNESCO world heritage sites. Visit Prometheus caves in resort town Tskaltubo and Gelati monastery. Drive to Borjomi, walk in the beautiful park. Dinner and sleep in Akhaltsikhe. Day 7: Breakfast. Visit Rabati fortress. Drive to Vardzia. On the way visit Sapara monastery (only in dry wather), village Saro, Khertvisi fortress. Visit Vardzia cave complex and drive to Tbilisi via Javakheti mountains. Return to Tbilisi. Check in hotel. Day 8: Breakfast. Free time. Transfer to Airport. *Prices are given according to the current exchange rate and may change in future.